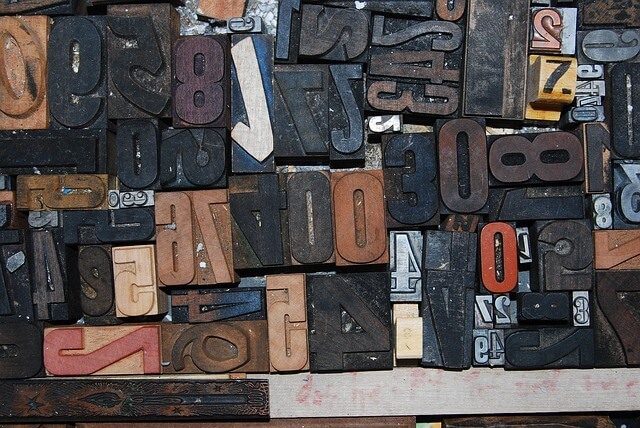 Typography has been around for as long as the written word has existed and it has been part of communications for centuries, whether it’s production copiers or the humble home printer, typography has a bearing on all of our modern printing and communication. • Pictograms. Pictograms were among the first types of messages in human history, and these consisted of records that represented a series of pictures to tell a specific story. • Hieroglyphics. Hieroglyphics were developed by the Egyptians and they are still used in drawings that represent various ideas or objects today. Hieroglyphics were however the first to use objects to represent sound. • Greeks. The Greeks adopted a specific Phoenician language and they began to develop what we now see as the true beginning of the modern alphabet. The Greeks refined their language by adding the first vowels. • Aldus Manutius. In the 1500s a printer by the name of Aldus Manutius invented the concept of portable or pocketbooks. He also developed the Italic typeface which was one of the first typeface variations available. • Howard Kettler. Howard Kettler designed Courier in the 1950s for IBM. It also became the most popular typeface used on typewriters for more than three decades. 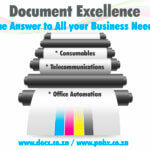 Document Excellence specialises in production copiers and we provide a variety of printing solutions for clients throughout Johannesburg. Contact us today to find out how we, as a Xerox partner, can supply you with all the printing solutions that you might need at the office or at home.